EM sounding is a classical geophysical method to study the conductivity structure of the underground. 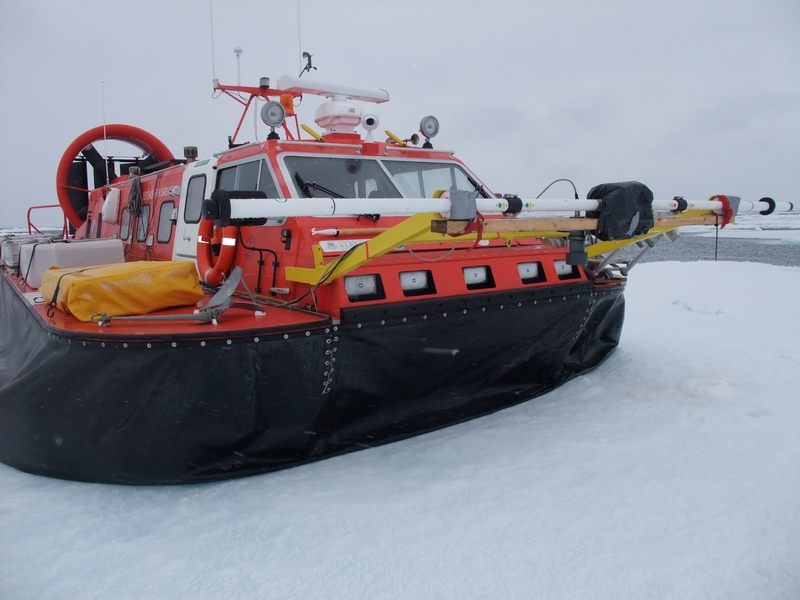 In the case of sea ice thickness measurements, the method takes advantage of the fact that sea ice is highly resistive (almost as resistive as air), while the sea water underneath is very conductive. 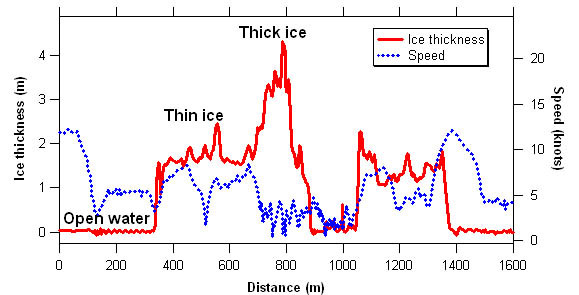 Therefore, the depth of the ice-water interface can be very accurately determined. An EM sensor does not require any physical contact with the underground. Therefore it can be operated from any moving platform (like a sledge, a helicopter, an airship, or a hovercraft). As the EM instrument determines the height of the sensor above the ice/water-interface, a laser or sonic distance meter is used to measure the height above the snow surface. The difference between both measurements is the snow-plus-ice thickness. 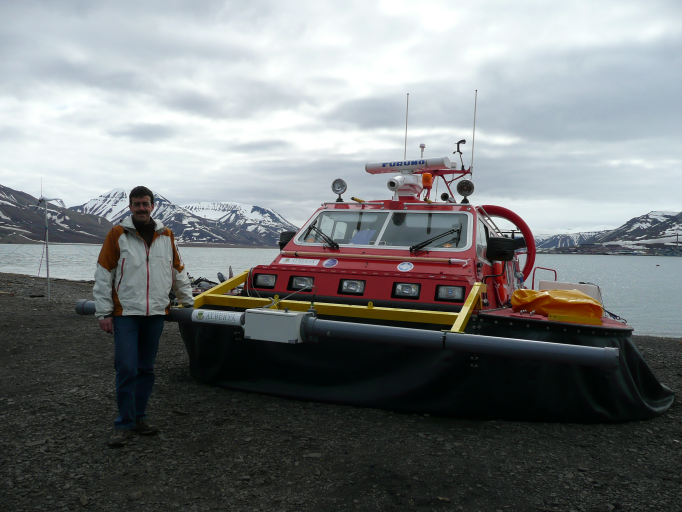 The EM ice thickness measurement method is described in Evaluation of ship-based electromagnetic-inductive thickness measurements of summer sea-ice in the Bellingshausen and Amundsen Seas, Antarctica by Dr. Christian Haas. Instruments used are a Geonics EM31-MK2 conductivity meter manufactured by Geonics, and a Microsonic mic-601/IU/HV/M30 sonic distance meter. Credits Dr. Haas for text, article reprint and photo.